Cardiff University libraries currently have trial access to the following electronic resources, available to all Cardiff University students and staff until the dates stated below. Please let us know if you find them useful! Artstor is a collection of over 2.4 million visual arts and culture images drawn from museums, libraries, photographic archives and artists. The decorative arts, archaeology, architecture, city planning, gardens and landscape, manuscripts, photography, film and religion are well represented in this collection. Images may be used for education and research. 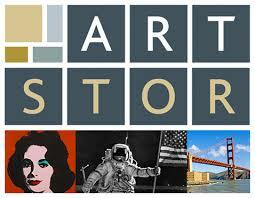 Cardiff University has trial access until 30th March via http://library.artstor.org. Please send feedback on this resource to Duncan Montgomery, Library Team Leader: College of Arts, Humanities and Social Sciences (Montgomery@cardiff.ac.uk). Pidgeon Digital is a unique collection of historic and recent illustrated talks from some of the world’s most important architects and designers. Architects featured include Alison and Peter Smithson, Gropius, Mies van der Rohe, Venturi, Hadid, Saarinen, Peter Cook, Buckminster Fuller, Gehry, Hertzberger, Frank Lloyd Wright, Richard Neutra, Frei Otto and Renzo Piano. Cardiff University has trial access via https://www.pidgeondigital.com/ until 23rd March. Please send feedback on this resource to Sarah Nicholas, Subject Librarian for Architecture (NicholasS2@cardiff.ac.uk). Blueprint is an architecture and design journal, published in the UK since 1983 and known for its highly visual content and strong editorial. Cardiff University has trial access, until 19th March, to an online archive of Blueprint, available on campus only, starting with issue 310 (January 2012), available at http://www.exacteditions.com/iplogin/blueprint. Please send feedback on this resource to Sarah Nicholas, Subject Librarian for Architecture (NicholasS2@cardiff.ac.uk). It’s great to see university library resources on architecture being updated. Pidgeon Digital is a fantastic resource I am sure many students will find helpful in their studies. And they may even find themselves listening to some of the more inspiring architectural talks simply for the joy of learning from such great minds and hearing their passion for the field. Best of luck with the trail.